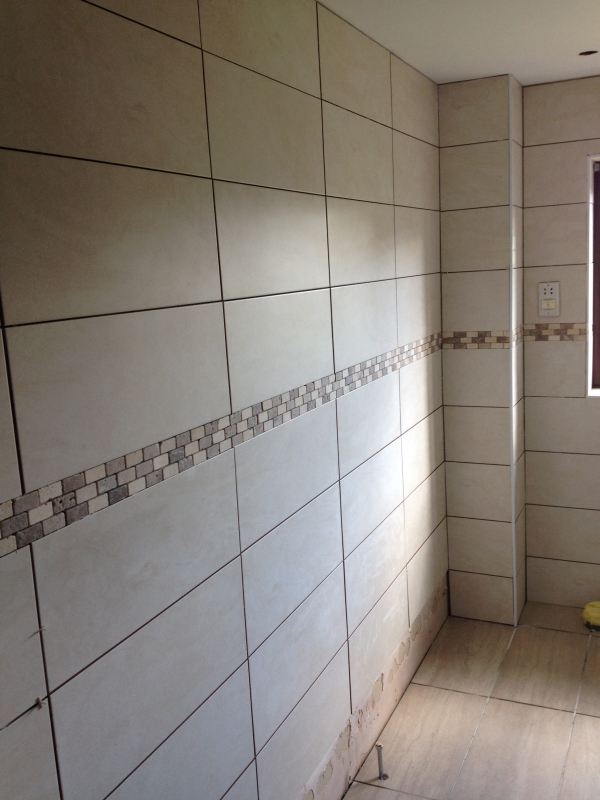 This is a project for a repeat customer who is familiar with the quality of our work. 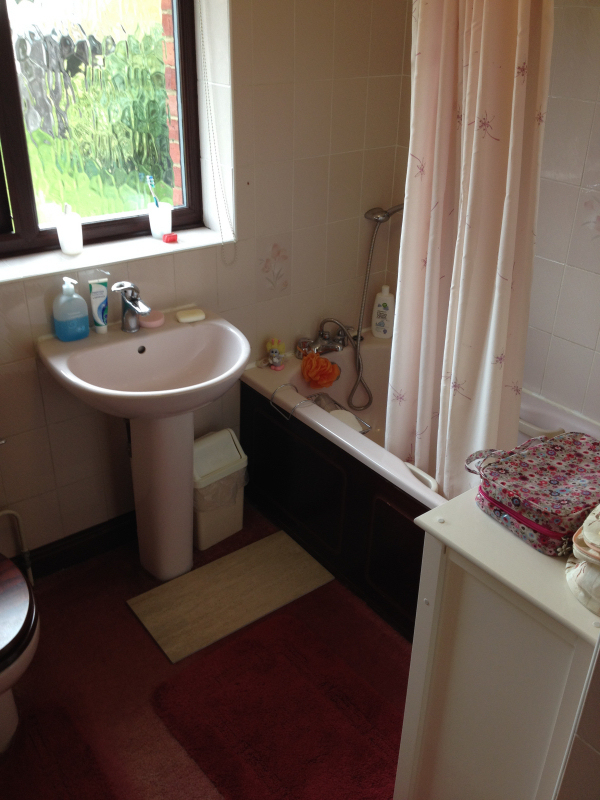 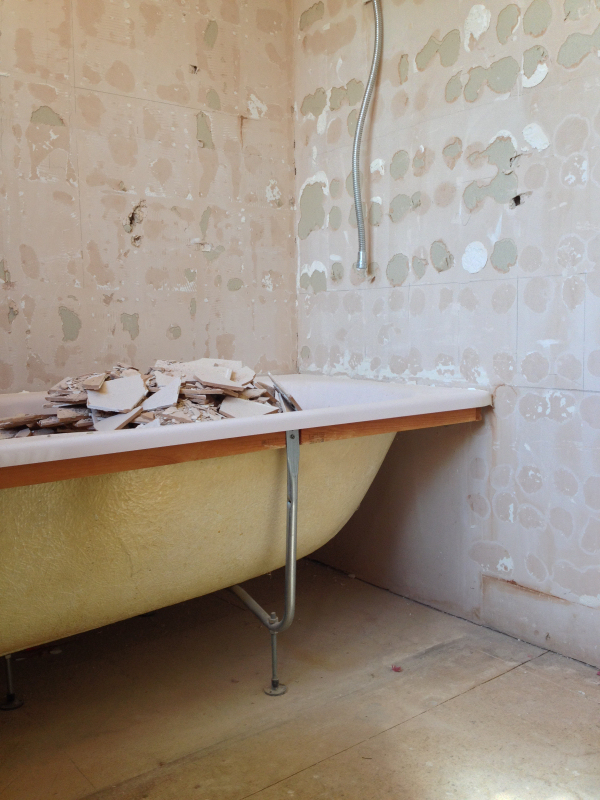 We removed the existing bathroom suite, including floor coverings and ceramic wall tiles. 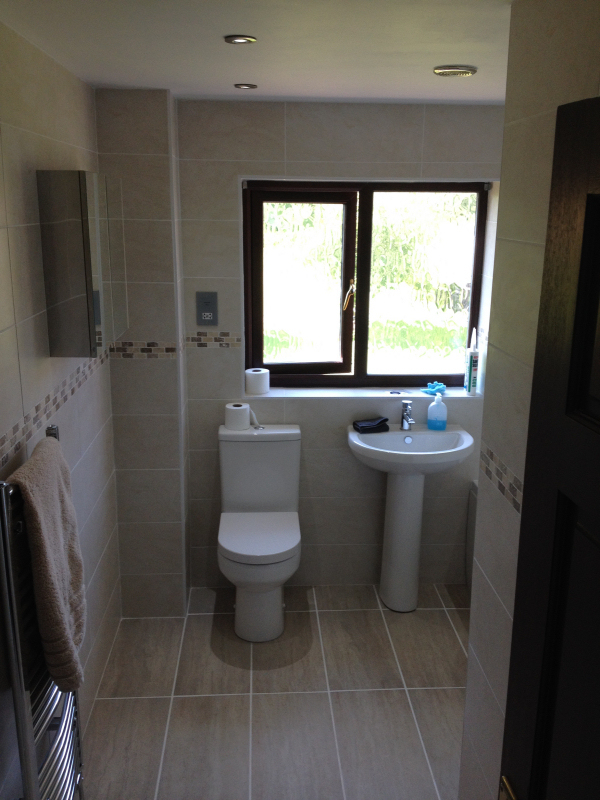 Our client purchased the new suite from an on-line supplier, and was fitted by our fully qualified plumber & heating engineer. 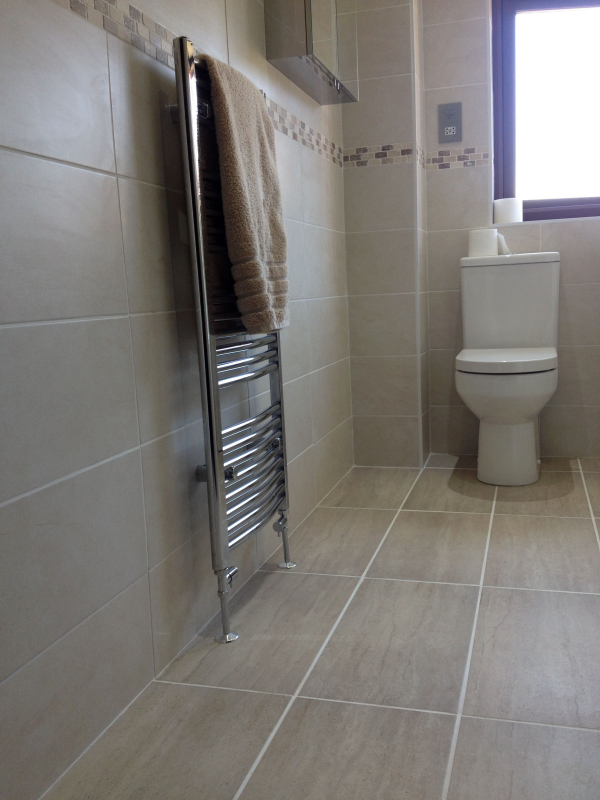 All product advice for materials was given by MG Carpentry & Building, and the client was confident to choose and order their preferred suite and fittings. 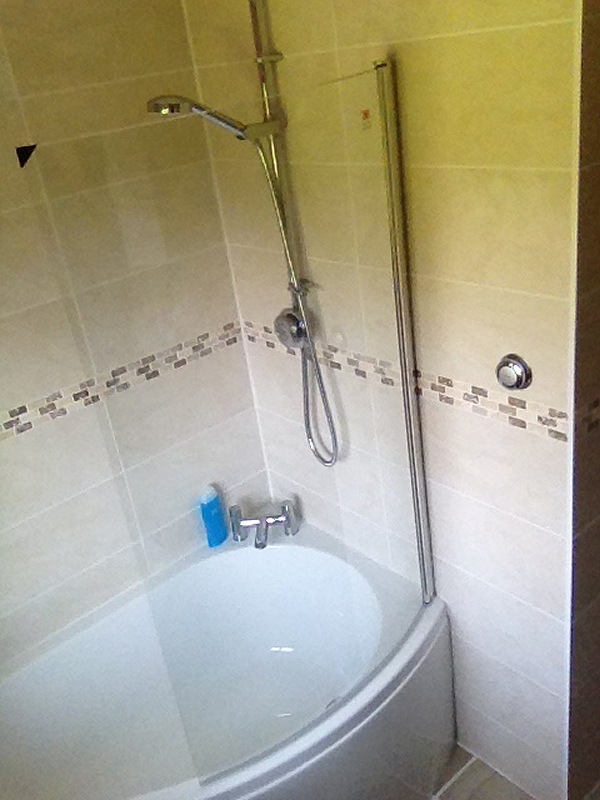 New under floor heating was installed and a remote shower fitted. 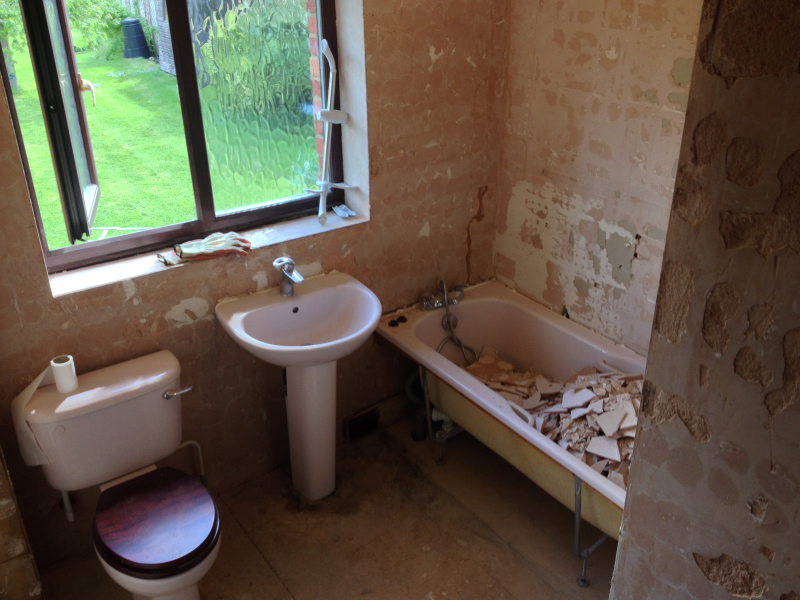 Strip out existing bathroom suite. 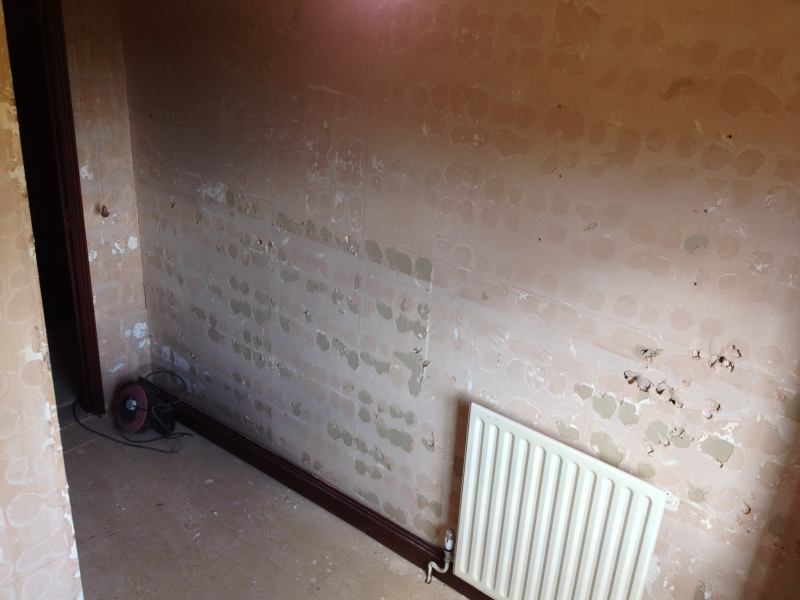 Plaster skim walls and ceiling. 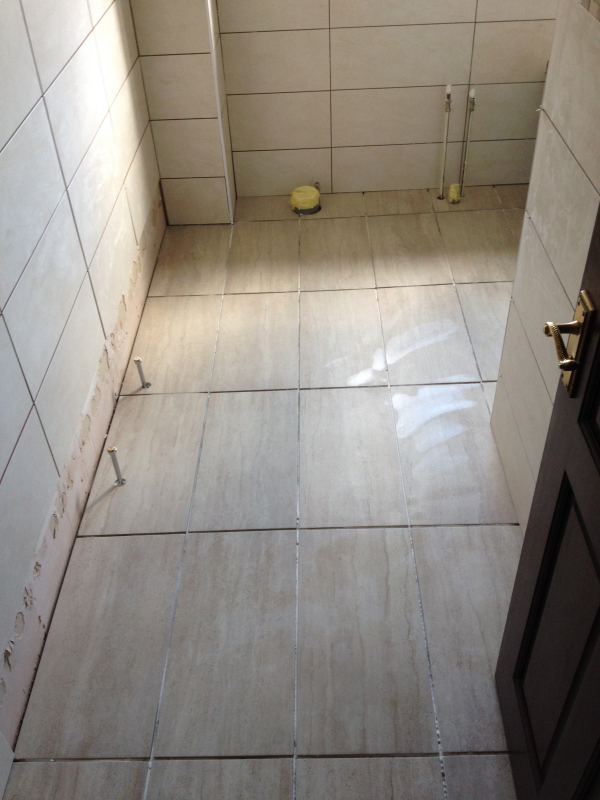 All ceramic wall & floor tiles fitted. 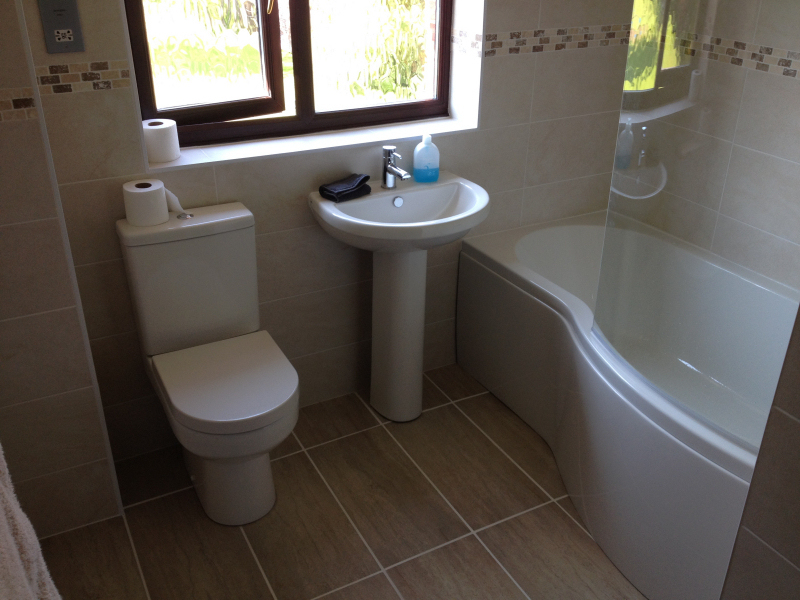 New three piece bathroom suite installed. 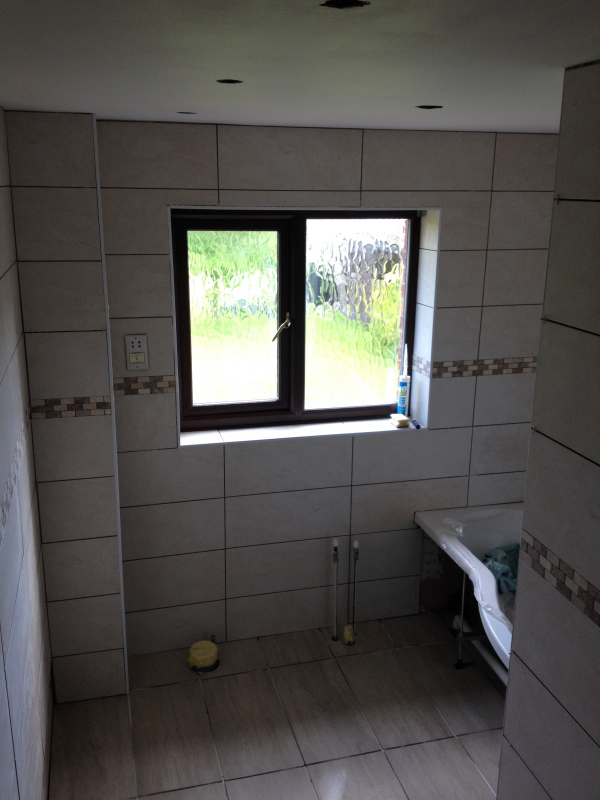 New remote power shower installed. 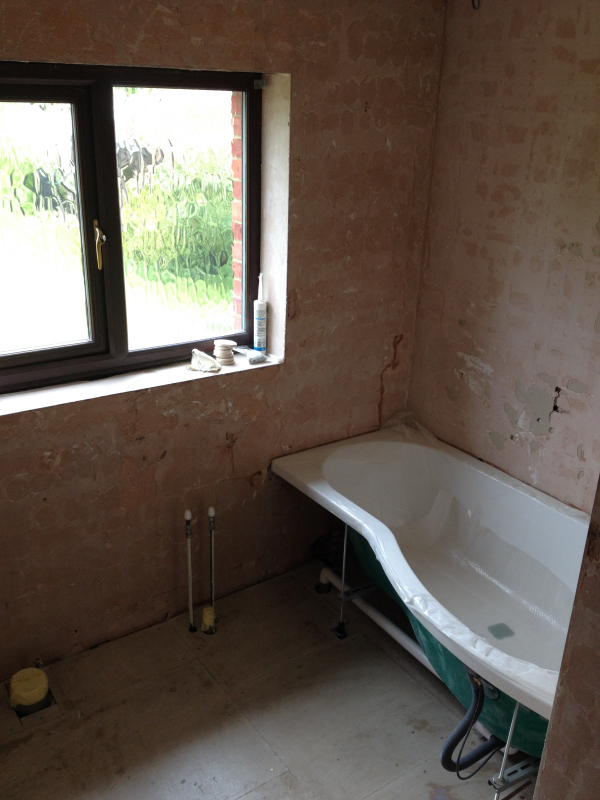 Fitting of client supplied bathroom fittings.